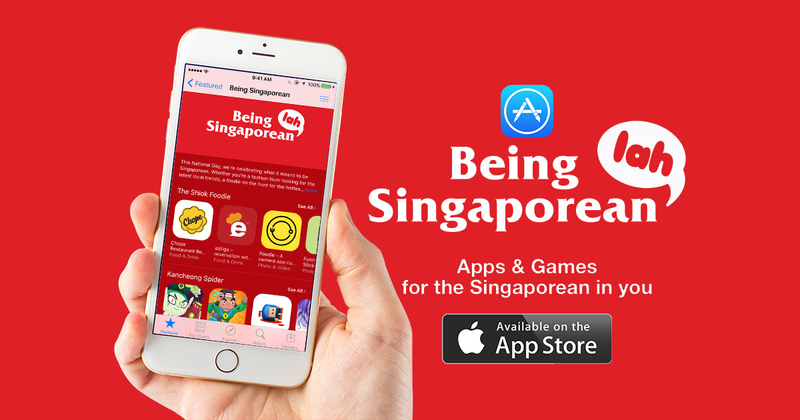 The App Store To Welcome National Day With The Ultimate List Of Apps For Singaporeans! Let us take a breather for a second from all the craziness that Pokémon GO has brought to the population, and let’s focus on an important annual event happening tomorrow – our nation’s day of independence. Yes, those of you too busy catching Pokemon to notice – 9 August aka National Day is here again. In celebration of National Day tomorrow, the iOS App Store will have something awesomely local in-store for you. 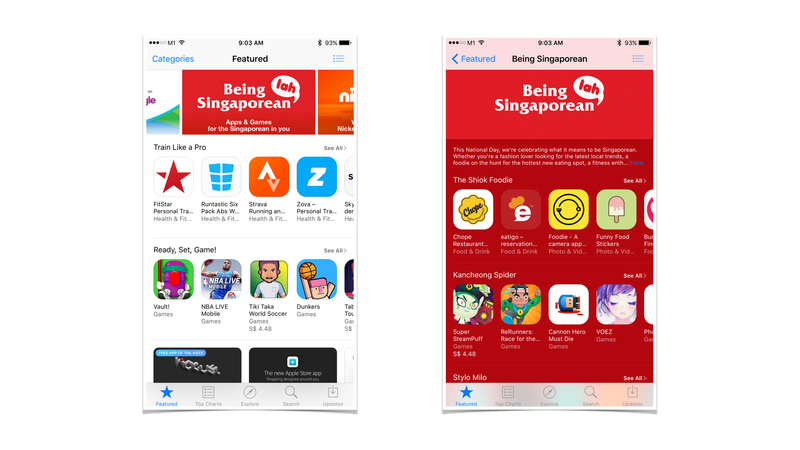 If you’ve not noticed already, the App Store is welcoming you with a Featured section entitled Being Singaporean Lah, which consists of a curated list of apps Singaporeans will appreciate. The section and its lists, created to suit different personalities, will be available until Friday, the 12th of August. 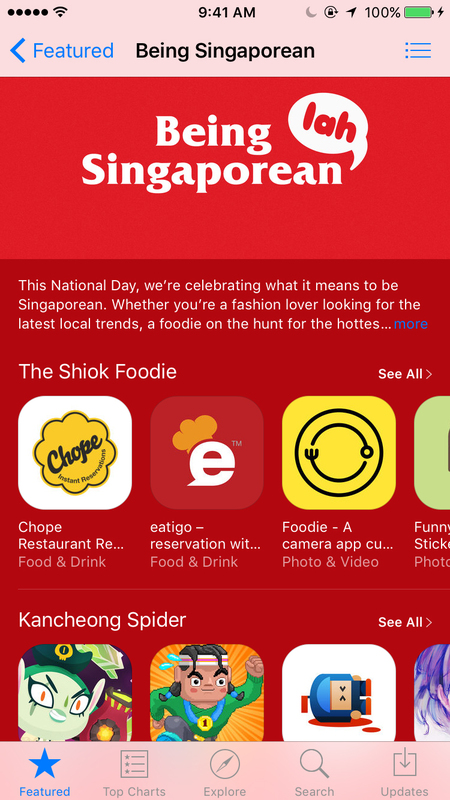 There is “The Shiok Foodie” for the perpetual food lover; “Kancheong Spider”, for that person who is always frantically running around and freaking out; “Stylo Milo” for the fashionista who always dresses to impress; and also “The Hipster” – those anti-establishment individuals who detest anything mainstream. And finally, there’s the “Weekend Fitness Warrior”, the busy working professionals who only have time to workout on the weekends. Accompanying them will be relevant apps that helps each personality to live up to their titles. If for some reason you don’t see yourself in any of those personalities, don’t worry – Apple has got an alternative for you. 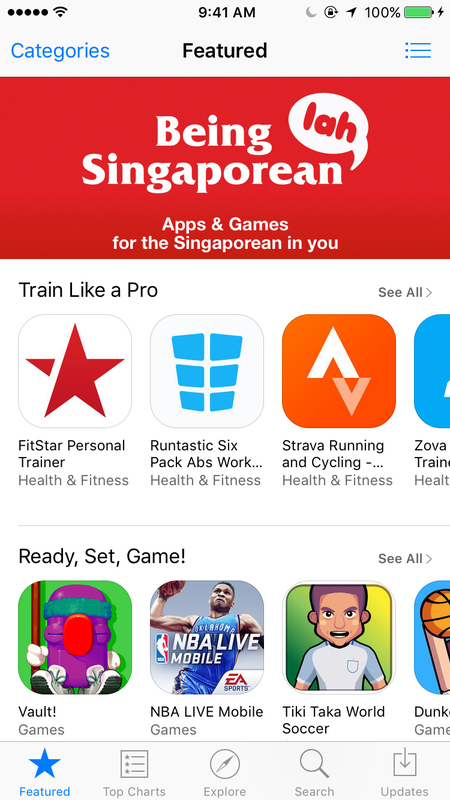 With more generic categories like Train Like A Pro – where you can get the top apps as used by Singaporeans in their active lifestyles, to Ready, Set, Game! – where you can explore popular games that everyone is playing on the MRT and also you can discover what your friends, and anyone else in Singapore is using. With telcos offering free data tomorrow as well, you don’t have to worry about finding wifi hotspots to download all these apps!